Hatha yoga is the type of yoga that is most widely practised in the West and concentrates primarily on posture and breath. 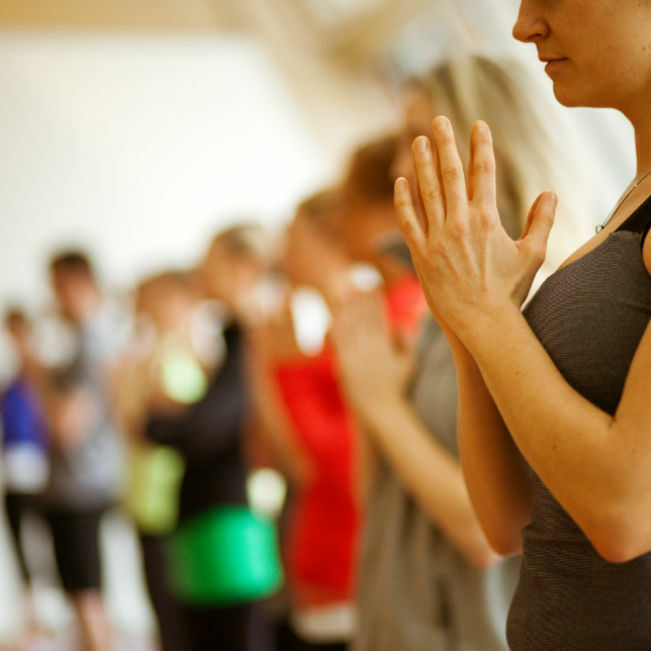 Our improvers Hatha Yoga course is the next step from our beginner Hatha Yoga courses, helping you to develop your confidence and tackle more challenging yoga poses. “Ha” meaning “sun“, and “tha“, meaning “moon” unite in the word “hatha“. It uses the body as a tool for inner exploration and aims to purify the body and therefore the mind. Classes generally will include posture (asana) work with emphasis on the breath (pranayama), a final relaxation and meditation. Postures are easily adapted to suit any level of student. The practice of yoga can improve muscular activity, respiration, circulation, digestion and enhance the activity of the nervous system. Intermediate level class. 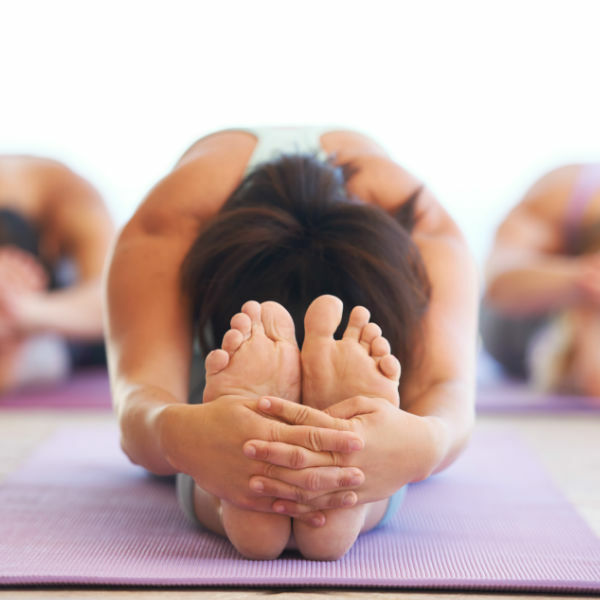 The Flow Yoga or Vinyasa Yoga class will link yoga poses into a flow practice that will energise your body and mind. Suitable for those with some previous yoga experience or beginners with a good fitness level. 6 Week Hatha Yoga Course: 7pm, Tuesday 7th May 2019 An open level yoga class suitable for beginners to yoga, to learn the basics of hatha yoga asana (postures) and breathing as well as to relax and restore from the challenges of daily life. First-time students are welcome in this traditional hatha yoga class. Hatha yoga incorporates breathing exercises and meditation to call the mind and focuses on proper alignment and form to support your body. Students will experience a comprehensive, yoga balanced class with expert guided instruction throughout the class. You will leave this Hatha Yoga class feeling more relaxed and balanced. 6 Week Hatha Yoga Course: 7pm, Monday 29th April 2019 (No Class 6th May & 3rd June Bank Holidays) Hatha Yoga classes open to all ages and levels of fitness. Hatha Yoga is a great foundation to work on your alignment, learn relaxation techniques, and become comfortable with doing yoga while building strength and flexibility. Experience yoga poses that tone and stretch. Hatha Yoga Classes include breathing techniques and a relaxation. 3 Week Pilates Mat Course: 09.30am, Monday 13th May 2019 The class is progressive, it aims to challenge and build on what you have already learnt but also introduces new exercises. Incorporating strength, mobility and stretching movements. Pilates mat classes incorporate props (magic circle, theraband, stability ball). The smooth, precise and flowing movements of our Improvers Pilates class help make you more mindful of your body. 4 Week Pilates Mat Course: 8.30pm, Thursday 9th May 2019 Learn the fundamental movements with the emphasis on technique. Incorporating strength, mobility and stretching movements. Pilates mat classes incorporate props (magic circle, theraband, stability ball). With modifications offered for beginners, our Pilates Mixed Level Mat course will help you build a strong foundation and teach you the principles of Classical Pilates.